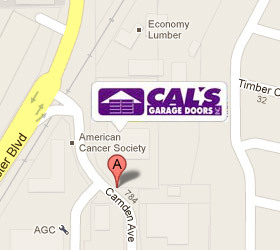 Q: What are garage doors made of? A: Steel, wood, and a combination of wood and steel. Q: How are the doors made, and what models are available? A: Both wood and steel doors come in insulated, non-insulated, backed and un-backed models. A: White, almond, sandstone, brown, green and grey. Stainable models are also available in wooden doors. A: Installation usually takes between three to six hours, depending upon the difficulty of the job. Q: Do windows add to the cost? A: Yes, windows can add $200 – $650 or more to the cost. Q: Do “Carriage House Doors” roll up or open outward? A: Carriage House Doors open upward – they are “sectioned” type doors. Q: How expensive is a service call? A: $75.00 plus parts, plus $35.00 per half hour after the first half hour on site. Q: Do you give free estimates on service or to troubleshoot? A: We offer free estimates on new doors only. A: San Jose, Milpitas, Morgan Hill, Los Altos Hills, Los Gatos, Saratoga, Cupertino, Sunnyvale and Santa Clara. Other areas may be serviced for an additional fee.